Our goal is to serve our customers with the best technology and products in the market. 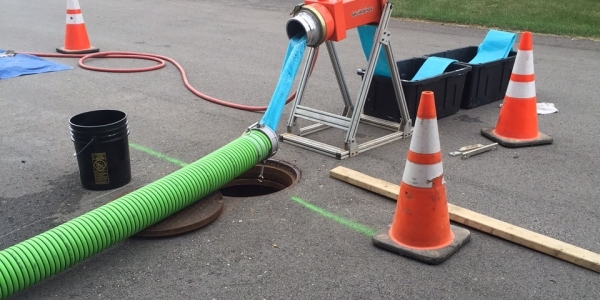 We specialize in the newest equipment for sewer and water maintenance and repairs. Our 45+ years of experience can make all the difference you need. We pride ourselves on exceptional results. 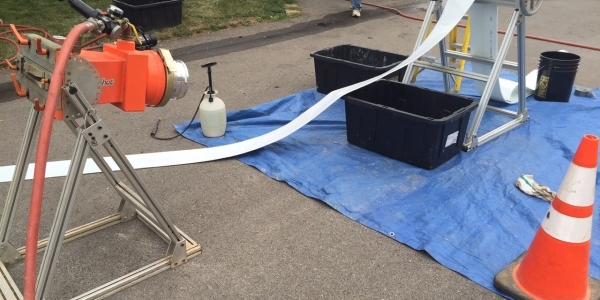 We will evaluate with our sewer camera to determine what will be needed to solve the problem. We would be happy to meet with you for a free consultation to estimate the cost of your project – call us now! 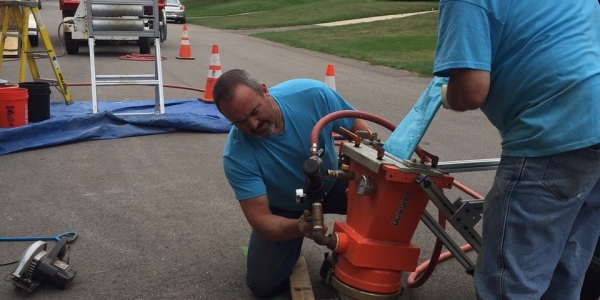 We are experts at Catch Basin and Sewer Jetting! 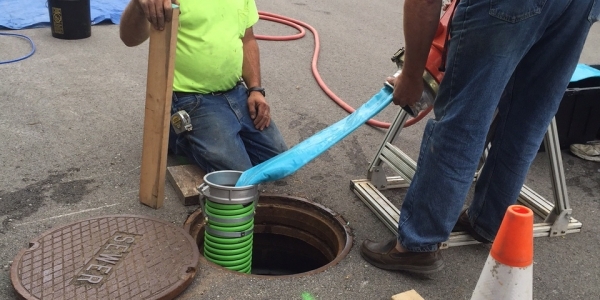 Catch Basin & Sewer Jetting uses a special high-pressure water hose to clean out buildups and debris. When traditional snaking cannot unclog your lines, our Jetting will. It will keep your pipes running at peak performance, increasing the flow and efficiency of your lines. It is also a great solution to clogged pipes and a great preventative method that can save you time and money between service calls! WHY IS CATCH BASIN & SEWER JETTING IMPORTANT? Catch Basin & Sewer Jetting is important because it helps keep your sewer drain from clogging. When those drains get clogged, the water will come back up into the household plumbing because it has no where else to go. If your sewer drain is clogged, it can be considered a plumbing emergency. Until the clog is cleared, you should avoid using any of the plumbing in your home. If you think you have a clogged sewer drain, call us so we can help by providing you with the best solution. 1.Easily cut through roots and debris to remove build-up that is clogging your drainage. 4.Save time and money by lengthening the time between service calls. 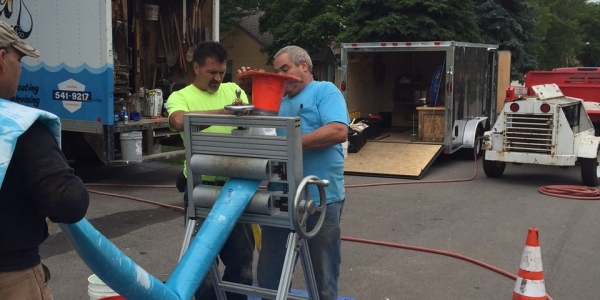 Pipe bursting is a trenchless method used to replace an existing pipe without physically removing it. This well-established technique is guaranteed to last for 50 plus years! A device enters inside the existing pipe and expands. When the device expands, the old pipe will burst! There will be two pits dug, one for the insertion of the pipe and the other for pulling the pipe. Pipe Lining is also a trenchless method used to replace an existing pipe without physically removing it. 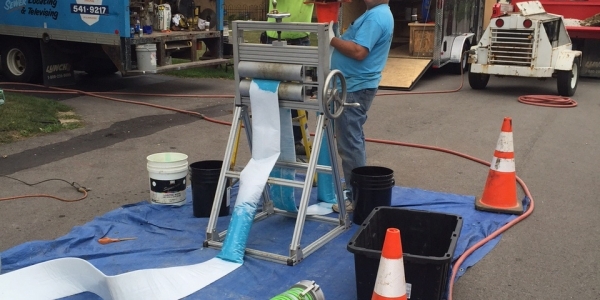 A flexible tube coated with resin is blown into the damaged pipe and inflated. After the resin is hardened, it will be a pipe within a pipe. See image slideshow above. 2.NO MORE PATCHING OLD PIPES! 3.NO SEAMS FOR TREE ROOTS TO ENTER! 4.MINIMIZES COST DUE TO LESS LARGE EXCAVATION EQUIPMENT AND CLEAN UP! This process is used for installing water lines. Directional Boring is the process of a directional bore machine pushing a hollow pipe, that is connected to the bore head, into the ground, typically 8-16 degrees. You may know it as Horizontal Directional Drilling (HDD). This is commonly used by utility companies. Directional boring is the preferred method, due to it’s low cost and low impact on surroundings. Having different bits allows us to navigate through different types of soil, from clay to sand to rock. With this type of precision we are able to work around and under water, wet lands, existing utilities, roadways, parking areas, landscaping, retaining walls and steep embankments. Tree roots in the yard can cause issues with older pipes. The older pipes can be crushed by these roots. Sometimes we can use a sewer machine to solve the issue. If not, we suggest using our Camera Machine to visually detect the reason for the issue. The next steps would be based on that footage and our 45 years expertise. 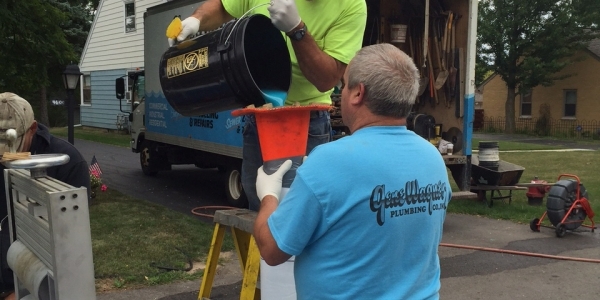 Please check out our pipe bursting and sewer lining. A sewer back up does not only cause damage and is expensive to repair, but can also create health hazards. A cracked or deteriorated lateral one that has tree roots can allow ground water to seep into the system, contributing to sewer backup problems.